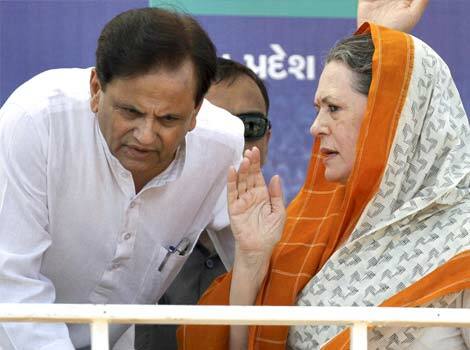 The Congress leadership may have flown 44 of its Gujarat MLAs to Karnataka to “safeguard” the Rajya Sabha seat of Ahmed Patel, political adviser to party chief Sonia Gandhi. But Congress insiders doubt if this this make Patel’s seat fully secure. The MLAs were flown by late evening Indigo flight to Bengaluru on Friday. The four candidates who fighting for three Rajya Sabha seats are BJP chief Ahmed Patel, Union minister Smriti Irani, Congress' Ahmed Patel, and Balwantsinh Rajput, who resigned from Congress to be a BJP candidate. “Congress’ original strength, before these resignations took shape, was 57. With these MLAs gone, the strength has gone down to 51. Considering that at least five other MLAs who are still in the Congress but might cross vote, the total votes that Ahmed Patel might come be down to 46”, the insider said. These MLAs are Sankarsinh Vaghela, who created a ripple by resigning as leader of opposition (LoP), and confirmed loyalist MLAs – son Mahendrasinh Vaghela, CK Raulji, Amit Chaudhury and Raghavji Patel. It’s just a question of the BJP succeeding in wooing at least one MLA to ensure the defeat of Ahmed Patel , the insider points out. Vaghela has resigned as LoP but has said would resign as MLA after the Rajya Sabha polls. “The whole political game of wooing MLAs is going on at a time when two Nationalist Congress Party MLAs Kandal Jadeja, son of ‘godmother’ Santokhben Jadeja, and Jayant Patel alias Boski, are unlikely to vote for Ahmed Patel. Nor is it likely that well-known tribal leader Chhotubhai Vasava of the Janata Dal (United) vote for Ahmed Patel”, the insider insisted. After resigning as leader of opposition, Vaghela declared that he would “surely” vote for Ahmed Patel and only then resign as MLA. But he later threatened that if Gujarat Congress in charge and ex-Rajasthan chief minister Ashok Gehlot does not withdraw “baseless” allegations against him, he wouldn’t vote for Ahmed Patel. Voting for Rajya Sabha takes place on August 8. 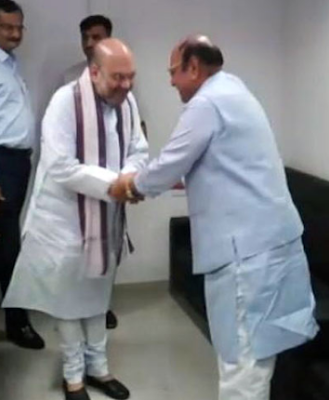 As against three seats from Gujarat, there are four candidates in the field – BJP party chief Amit Shah, Union minister Smruti Irani, Congress’ Ahmed Patel, and Balwant Singh Rajput, the man who resigned from Congress two days back to join the BJP. The recent presidential polls saw BJP candidate Ramnath Kovind get as many as 11 more votes of Gujarat MLAs than the BJP party strength; of these at least eight whom were from the Congress. “Here, the BJP requires 16 MLAs, hence the whole exercise of horse-trading”, the Congress insider said.